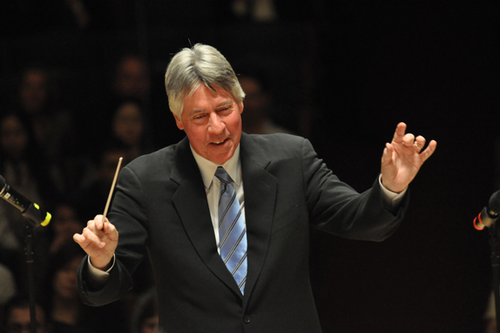 Alan Silvestri is an American composer and conductor. He is known for his film and television scores, with a career that spans the last 46 years. Silvestri was raised in New Jersey, and his musical interests began with playing jazz guitar. He attended the Berklee College of Music for two years, after which he began performing and arranging professionally. He moved to Hollywood at age 22, where his composing career kicked off with the film The Doberman Gang (1972). Silvestri’s rhythmic, synth-pop stylings served as the score for the TV series CHiPs from 1977 to 1983. He then developed a strong working relationship with producer Robert Zemeckis, and beginning with Romancing the Stone (1984), Silvestri has since scored all of Zemeckis’s films. These include the Back to the Future trilogy (1985-1990), Forrest Gump (1994), Cast Away (2000), Beowulf (2007), A Christmas Carol (2009), and The Walk (2015). Silvestri has also composed the score for films directed by James Cameron and Stephen Sommers. His recent film work includes The Avengers (2012), The Croods (2013), and Ready Player One (2018). He also scored the new film Avengers: Infinity War (2018) which is releasing later this week. Pray with us this week for Alan Silvestri. We thank God for the musical talent he has given him, and pray that Alan would grow closer to God as he continues to create music. Pray that Alan encounters the Lord through music, in a way that is meaningful and personal to him. We also pray that in Alan’s recording sessions, whenever he collaborates with other musicians, and when he serves as a conductor, his interactions are full of patience and compassion along with his drive for excellence. Pray that Alan would build relationships with people, especially other musicians, who can demonstrate God’s love and grace to him.